Some loss of memory is often considered an inevitable part of aging, but new research reveals how some people appear to escape that fate. A study by Massachusetts General Hospital (MGH) investigators published in The Journal of Neuroscience in September 2016 examined a remarkable group of older adults whose memory performance is equivalent to that of younger people. The researchers found that certain key areas of the older people’s brains resemble those of young people. A release from the hospital notes that the study the first step in a research program aimed at understanding how some older adults retain youthful thinking abilities and the brain circuits that support those abilities. The program is led by Bradford Dickerson, MD, director of the Frontotemporal Disorders Unit in the MGH Department of Neurology and Lisa Feldman Barrett, PhD, MGH Department of Psychiatry, who are co-senior authors of the new study. While most older adults experience a gradual decline in memory ability, some researchers have described older adults – sometimes called “super agers” – with unusually resilient memories. For the current study, the MGH team enrolled adults ages 60 to 80 – 17 of whom performed as well as adults four to five decades younger on memory tests, and 23 with normal results for their age group – and 41 young adults ages 18 to 35. 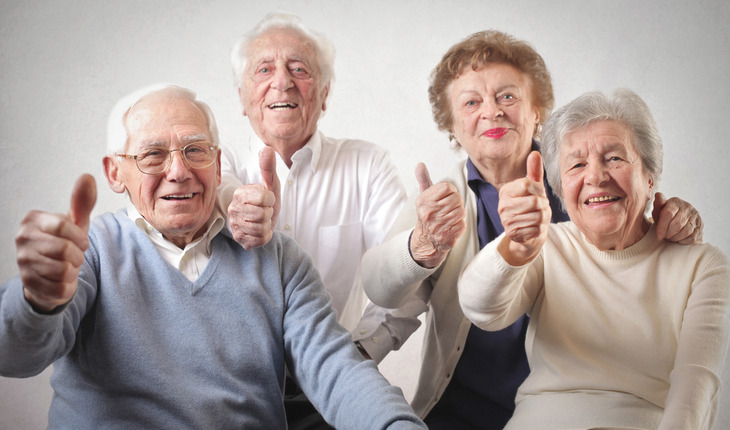 The release quotes Alexandra Touroutoglou, PhD, MGH Neurology, co-senior author with Dickerson and Barrett, as saying, “Previous research on super aging has compared people over age 85 to those who are middle aged. Our study is exciting because we focused on people around or just after typical retirement age – mostly in their 60s and 70s – and investigated those who could remember as well as people in their 20s. Critically, the researchers showed not only that super agers had no shrinkage in these brain networks but also that the size of these regions was correlated with memory ability. One of the strongest correlations between brain size and memory was found in an area at the intersection of the salience and default mode networks. Previous research has shown that this region – the para-midcingulate cortex – is an important hub that allows different brain networks to communicate efficiently. “We believe that effective communication between these networks is very important for healthy cognitive aging,” Touroutoglou says.